Tradition. Family. Love. These are a few of the things that come to mind when you tuck the kids into bed under a cozy handmade quilt. Quilts are one of the most-prized family heirlooms—works of folk-art in patterns as mysterious as corn mazes and groundbreaking artistry and colorful innovation. 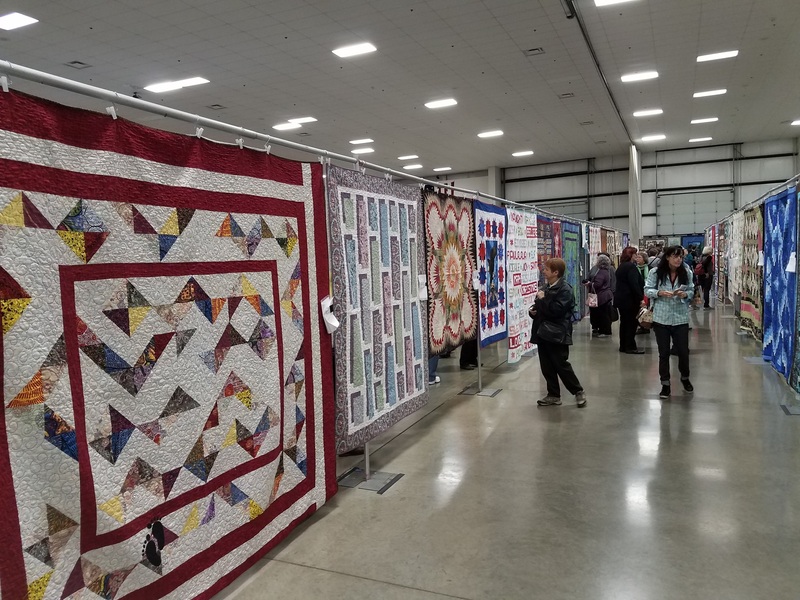 We Americans pride ourselves on a rich legacy of quilt-making and design, so it’s not surprising quilt festivals are one of the most popular events across the US, including Oregon. Several years ago, two local business owners teamed up to plan a winter quilt show. 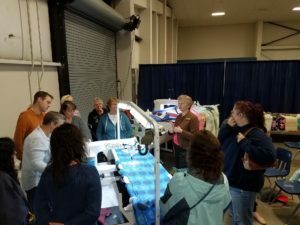 The Rich family (of Rich’s Sewing & Vacuum, and their staff) and the owner of Albany’s Bolts to Blocks (Barb and Pete Schoonover), formed a festival board, and launched the first Willamette Valley Quilting Show in 2018. Their idea was to schedule the event during the rainy season—they figured it would be the perfect way to bust through any post-holiday blues and foster the creative process. Last year’s quilt show was a rousing success and attracted over 2,300 quilt lovers to the Linn County Fair & Expo Center. There were over 300 quilts on display, numerous vendors, classes and demonstrations. Although there were a few hiccups during the inaugural venue, organizers were encouraged by the community’s reaction and immediately started planning an even bigger and better show. 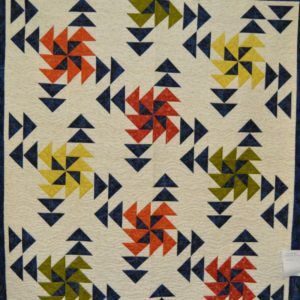 At the 2019 show (February 1st through February 2nd), the number of vendors has nearly doubled and will include booths filled with tools and equipment, handcrafted items such as handbags and scarves, quilting kits and templates, fabric, clothing, home decor, and of course—the amazing display of quilts. While many national shows offer prizes for quilt contestants, the 2019 Willamette Quilting Festival will award a $3,000 Babylock Soprano sewing machine as a grand prize, and a “Mayor’s Choice Award,” from Albany Mayor Sharon Konopa and the Albany Visitors Association. This special Albany-themed gift basket will be stuffed with goodies—including a Sybaris gift certificate, fabulous local wine from Springhill Cellars, Albany Historic Carousel free-ride coupons, tickets to a performance at Albany Community Theater, an Albany Art Studio gift certificate, and much much more! In addition to the quilt contest and display, show attendees can enter raffles for special prizes by bringing non-perishable food donations for ‘Fish of Albany’ or purchasing additional raffle tickets. Admission to the show is $7 and tickets can either be purchased onsite or online. 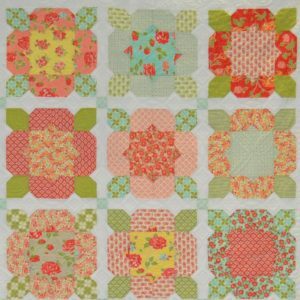 Whether you are an experienced quilter or just starting out, workshops will be offered throughout Friday and Saturday. Instruction topics include: using Oregon-made templates by Westalee, ruler work, embroidery, fabric tote creation, wallet construction, quilt design, and laser-cut appliqué. Demonstrations and presentations conducted throughout the main hall are free with the price of general admission. What’s in store for the future of the Willamette Valley Quilting Show? Daniel Rich of Rich’s Sewing & Vacuum shared his hopes that the show will “offer more and more classes, presentations and appearances by quilting world ‘celebrities,’ and continue to promote artistic quilting and quality sewing throughout the community.” We think that’s a “darn” good idea! Admission and hours The 2019 Willamette Valley Quilting Show runs from 10:00 a.m. to 5:00 p.m. on both Friday, February 1st and Saturday, February 2nd. The show is held in the main exhibit hall at the Linn County Fair & Expo Center at 3700 Knox Butte Rd in Albany, Oregon. Admission is $7, parking is free. Tickets may be purchased at the show or pre-paid online. Pre-show activities on Thursday, and classes on Friday and Saturday require registration. Contact Rich’s Sewing & Vacuum in Albany for workshop pricing and times. For more information telephone 541-926-4842. Staying over If you are traveling to the show and would like a special Albany Visitors Association rate, connect with our featured hotels, the Best Western Plus Prairie Inn or Quality Inn & Suites—ask for the “AVA Rate” when reserving your room. For other great choices, connect to our website’s “Sweet Dreams” hotel and motel directory. Food and fun While at the show, enjoy amazing food truck selections from Grindz Hawaiian, Natalie’s Mexi-Kart, N’reener’s (pub grub), Southpaw’s Pizza, and more. An onsite espresso bar will be operating within the main exhibit hall. For ideas about where to meet friends for dinner after the show, make sure to visit the Albany Visitors Association booth in the main exhibit hall. We’ll have restaurant guides, city maps, and everything you need for a great night or two on the town. We can also recommend places for breakfast and brunch, desserts, and more. Check our “Spirited Cuisine” page for a full list. 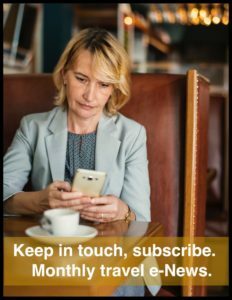 You can also download the “Albany Explorer App” for iPhone or Android. Simply search for the Albany Explorer App in Google Play or Apple App Stores. The app is jam-packed with fun things to do. As to fun, no trip to Albany is complete without a visit to the Albany Historic Carousel & Museum. Ride tokens are $2 each and admission is free. We also recommend the Albany Regional Museum and Monteith House Museum to learn more about Albany’s history and culture, as well as self-guided tours through three National Historic Districts. Visit our “Dive Into History” web page for information on Albany’s historic roots. Can anyone submit a quilt? Yes, Quilt drop off starts this Friday at either Bolts to Blocks 950 SE Geary St. or Rich’s Sew and Vac. Located by Big Lots, there is a $5.00 hang fee, and all quilts are handled with extra TLC. Thanks for the information Peter!